Backs to 200+ Acre LCRA Park. New 4 large bed, 2 bath home. 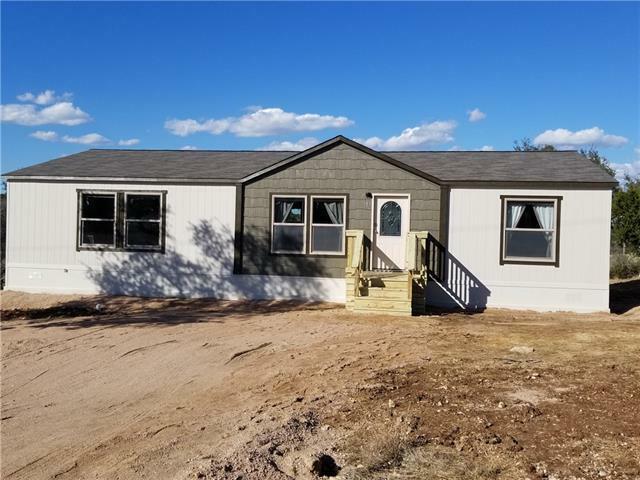 R33 Insulation, Thermal Pane Windows, Radiant Barrier, Smart Siding, 50 gal Water Heater, Ceiling Fans, Plank Oak Tile, Rolled Edge Counter tops, Stainless Appliances! (smooth-top range, dishwasher, side-by-side fridge, microwave) Surround Sound!, Real Wood Cabinet Doors!, Overhead Air Ducts!, Upgraded trim! Accent walls, Homes is on a permanent foundation, so 3.5% down FHA, VA, USDA financing is available. New Subdivision in Johnson City.